Ice Shelf vulnerable to collapse. "This is a significant discovery in a region of Antarctica that at present we know little about," Professor Martin Siegert, project lead from the University of Edinburgh, said. "The area is on the brink of change, but it is impossible to predict what the impact of this change might be without further work." One potential impact, though, could be felt world-wide. If, following an ice-shelf collapse, much of the West Antarctic Ice Sheet were to be released into the ocean, sea-levels could rise dramatically - by up to 12 feet. The speed of any such potential collapse remains uncertain. The sea-ice shelves surrounding parts of Antarctica act as frozen bulwarks, holding back the mile-thick ice slabs in the interior of the southernmost continent. If they give way, the vast ice-sheets of West Antarctica are likely to speed up their journey into the sea. At the moment the ice-shelf is holding its own along the 'grounding line', the places where the ice meets the submerged land. mysteries of the ice-bound sea to science. With so much ice holding out the potential for so much global change, it is critical work. The basins that the team have discovered beneath the ice-shelf are huge - over 7,700 square miles in area, and up to a mile deep. That's a pool the size of New Jersey that the sheet is balanced on. Having so much of the ice-shelf underlain by sea is big problem, because scientists have already discovered that warm watersare nibbling the margins of the continent's ice shelves. If that warmer water were to invade these newly discovered pools, change could come fast. "If we were to invent a set of conditions conducive to retreat of the West Antarctic Ice Sheet, this would be it," said Don Blankenship from The University of Texas at Austin's Institute for Geophysics. 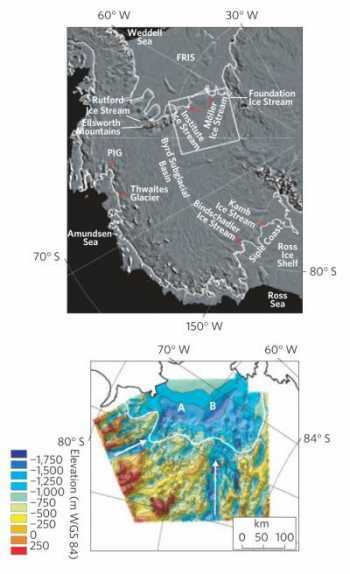 "With its smooth bed that slopes steeply toward the interior, we could find no other region in West Antarctica more poised for change than this newly discovered basin at the head of the Filchner-Ronne Ice Shelf." And such change is far from unprecedented, geologically speaking at least. Separate studies have shown that the whole West Antarctic Ice Sheet has indeed vanished into the sea in the past - with some new evidence coming - surprisingly - from the genetic studies of octopuses. A paper, published a few days ago in Molecular Ecology, showed that Turquet's octopuses, living on opposite sides of Antarctica (in the Weddell and Ross Seas) were almost identical genetically. These are creatures renowned for their sedentary lifestyles, sticking to territories they know. So such a link would only make sense if, in the relatively recent past, these two groups of octopus were in contact - part of a continuous population. The only likely way that could come about if the octopuses once thrived in the land bridge connecting the Ross and Weddell Seas, right where the West Antarctic Ice Sheet lies now. That implies that this whole area was once ice-free and submerged beneath the sea. 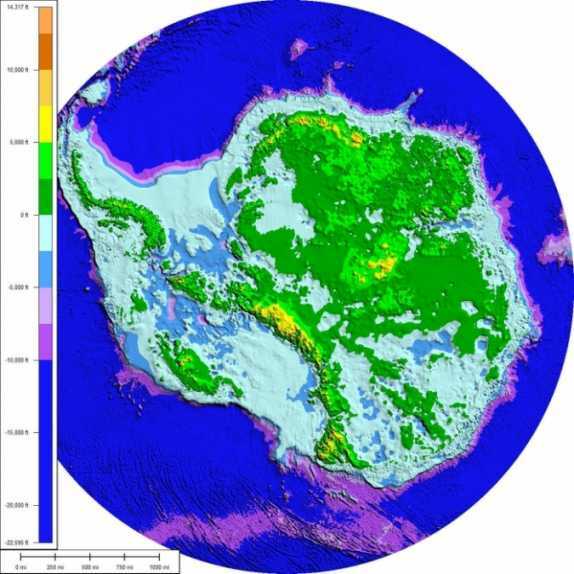 Given that the West Antarctic Ice Sheet has collapsed before, it could happen again. But the critical thing is the speed of collapse. Most glacial scientists still think that such an event would play out over centuries, rather than decades - and may not be inevitable, even if the Filchner-Ronne Ice Shelf were to let go entirely. Additional research is ongoing, led by scientists at the Alfred Wegener Institute. Dr. Hartmut Hellmer, from the Institute, had this to say about his latest research on the area: "Ice shelves are like corks in the bottles for the ice streams behind them. They reduce the ice flow because they lodge in bays everywhere and rest on islands. If, however, the ice shelves melt from below, they become so thin that the dragging surfaces become smaller, and the ice behind them starts to move." "We have found a mechanism which drives warm water towards the coast, with an enormous impact on the Fichner-Ronne Ice Shelf in the coming decades", he said.